With Fall officially in swing, I wanted to post a little about our sweet summertime visitors. I joke that our house is a little like a Bed & Breakfast. That especially holds true in the summertime, & we love it. We had so much fun giving our friends & family a taste of the littlest state. The Haeusslers were our first summer visitors. They came all the way from Ohio, & you camped out in the driveway for hours waiting from them to arrive. When they finally arrived, it was like you were reunited with your two long-lost, little brothers. You were thrilled that they were staying for more than a week. We took them all over Rhode Island. 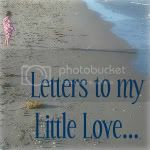 We watched you three littles play at the zoo, splash in the waves at the beach, explore URI (where Aunt Jayme & I met), eat ice cream, & be OK that we only spent five seconds at the PawSox game. We spent a lot of time at home too. 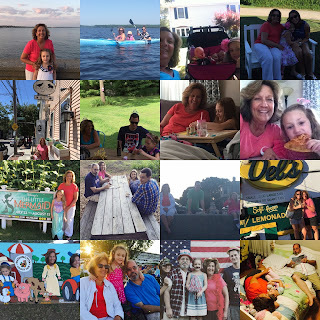 We had a big gathering with old friends, Jayme's birthday celebration, multiple Independence Day celebrations, & even got to spend a day relaxing on an air mattress. You & Trey were best buddies. You read books together, built inside tents, pretended you were firefighters, watched TV together, & let your imaginations run wild. Dane very adamantly declared Daddy as his best buddy (we'll work on that). 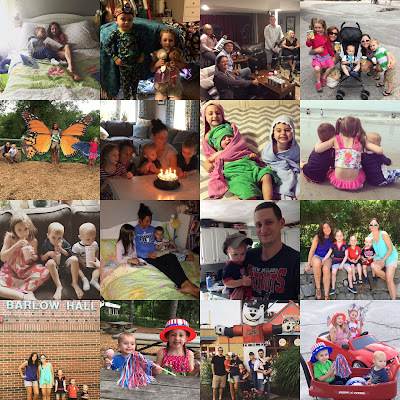 It was a fabulous ten days of ups & down & highs & lows & all the precious moments in between. I loved getting to share it all with my best friend & her family. It was so hard to say goodbye, but we know we'll be seeing them all again in Ohio really soon. Until then, I can't help but smile each time you & Trey Facetime. They're probably the most adorable conversations in the world. Aunt Colleen, Ryan, & Dash came later that month. 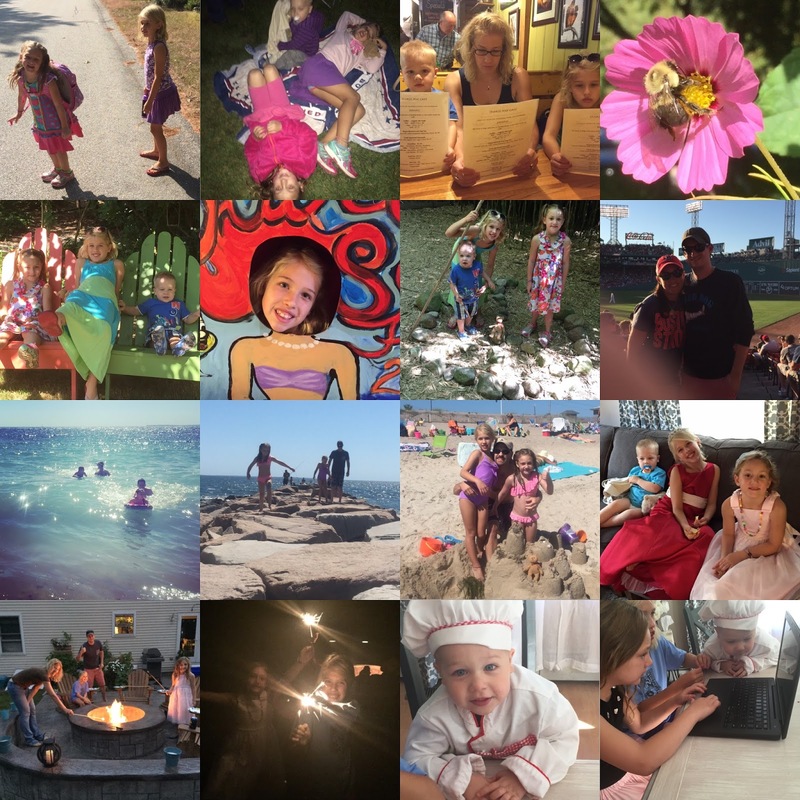 We got to spend a long weekend with them, & most of it was spent outside in perfect Rhode Island weather. We had a bunch of plans as just the adults, but we squeezed in a pool day with Colleen while Daddy & Ryan golfed. 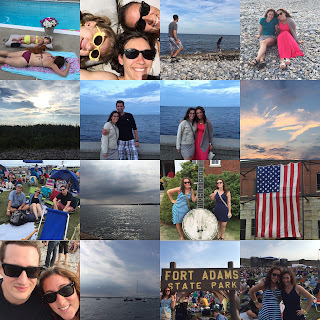 That night the adults enjoyed Aunt Carries for dinner & a stroll in Narragansett as the sun was setting. The next day we headed for Newport & had a blast at the Folk Festival. The music was so much fun, & I loved that we got to share it all with great friends. Colleen is the one who first introduced me to the loveliness of Rhode Island. When she comes to visit, it always feels a little like she's come back home. I'm so glad that even though she's moved away, I still get to enjoy precious Rhode Island moments with her & now her husband too. It was a quick visit this time, but we know she'll be back soon. When we discovered we had a free weekend the beginning of August, I was so excited that our friend Erin decided to visit us. Erin & I met a little over a year ago, but it feels like we've been friends forever. You already lovingly call her Aunt Erin. She was one of the first people you shared your dreams of becoming a fashion designer with, & it made my heart so happy as I watched the two of you color & design together. 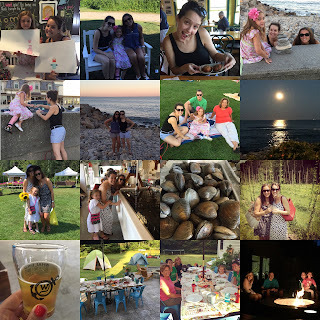 Soon after Erin arrived, we headed over to Narragansett for dinner at Aunt Carries, building rock towers, music at the gazebo, Nana's gelato, & the most beautiful full moon rising over the ocean. The next day was jam packed with Rhode Island fun. We had a blast visiting a farmers market & a fish market. Then Erin, Daddy, & I visited two different local breweries. We returned home & you & Daddy set up tents in the back yard while the ladies prepared a seafood boil. We ate until we were stuffed, enjoyed a fun fire pit, & then had your first camp out in the backyard. Of course, a trip to Rhode Island wouldn't be complete without a day at the beach. While you & Daddy had fun at a birthday party, Erin, Nonnie, & I enjoyed a full & gorgeous day at the Charlestown Breachway. It was such a perfect weekend with such a fun friend. We're looking forward to many, many more. Our last summer visitors came for a long weekend visit over Labor Day weekend. The Mages family came super late Thursday night while you were asleep. I didn't tell you they were coming, & you woke up Friday morning thrilled to see that you had little friends visiting. Claire & I picked you up from the bus stop that afternoon, & I loved watching you & Claire & Braden play together for the rest of the weekend. We danced to music at the Narragansett Gazebo for the last time of the season & then enjoyed Nana's gelato. The next morning we brunched at & explored the beauty of the Umbrella Factory. That afternoon you played at Grandma & Papa's house while Daddy & I enjoyed our last RedSox game of the season. We reunited as the Mages & the McGoverns the next morning & spent a beautiful day at the Charlestown Breachway before heading home to a yummy seafood dinner (thanks Alyssa & Paul!). We ended the day around the fire pit with s'mores & sparklers. Not every moment was perfect, but they never are when you're adventuring with small children. I think we all had our moments, but everyone took turns & everyone helped out It was so amazing to spend time with like-minded parents who understand what we're going through. The Mages are such a beautiful family. We miss them like crazy, but plans are in the works for a Philadelphia adventure. I can't write a post about our summer visitors without mentioning Nonnie, although she's not really a visitor. She has her own room in our house. She just doesn't use it all year long. While most of our summer visitors stayed for a short time, Nonnie was here almost the whole summer. We are so fortunate to be able to spend our summer moments with her...especially this summer. This summer was amazing, but challenging with your ankle injury. Nonnie stood right by our sides through it all, providing extra hands & the support we all needed. She basically made everything for your birthday party, cleans our house, & makes the most amazing fried fish. Nonnie is perfect like that. You & Nonnie were truly best buddies this summer. The two of you were pretty much inseparable. In fact, at one point you two got married. You two played barbies & babies & dress-up. You read together & built legos together & biked together & watched movies together. You even had your own date nights when Daddy & I went out for our date nights. Nonnie came with us on our Narragansett adventures & built rock towers with us. We fit in a kayaking trip or two. We finally introduced her to one of our favorite places: Duck & Bunny. She enjoyed The Little Mermaid & the Washington County Fair right alongside of us. Papi came for a couple weeks this summer too. He helped us out with A LOT of home improvement projects...like a real lot. He also had lots of fun with us too. The two of you played in a way I haven't quite seen you play before. It made my heart so full to watch you play with your Nonnie & Papi. We may not live close by, but we're so fortunate that we get to share the time with them that we do. And that's why even though it wasn't the summer we were planning, it was an amazing & beautiful & perfect summer. It was filled with adventure & the people we love, & I wish I could do it all over again (well, most of it). That's also why I've been working on another little home improvement project. We're officially making the office (which we haven't used as an office in three years) into another guest bedroom (I'll post more about it when it's done). This way we have even more space for our friends & family who want to take a little Rhode Island get away. I guess I can say that our Bed & Breakfast officially has more vacancies. Who wants to book your stay?